Depression is a social and personal impact often caused by social change. Mostly people realize when they really fall into depression and need professional help. And yet most of the people are not aware of the first signs of depression. They ignore e.g. sadness and moodiness, anxiety and nervousness, decreased energy, poor concentration and memory and so on. 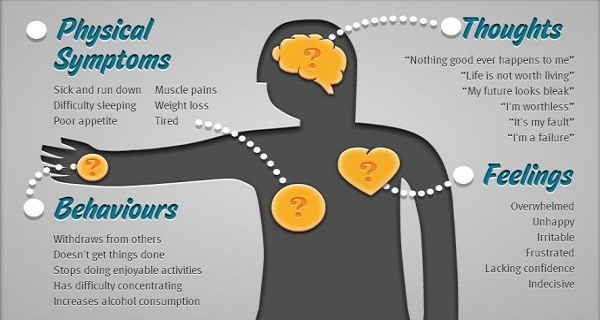 These symptoms are part of daily life and basically …….not a pathological symptom. That helps to distinguish some kind of depressive mood which lasts for some days and/or the beginning of a pathological state of depression. I don’t want to make you hook on these symptoms. I don’t want you to be more afraid then necessary. I want you to be aware of yourself and to try to find your way of taking part in life, taking part of the flow of emotions and be aware of how you feel in your life. Please have a look at the following link to feel encouraged for more self-experience.